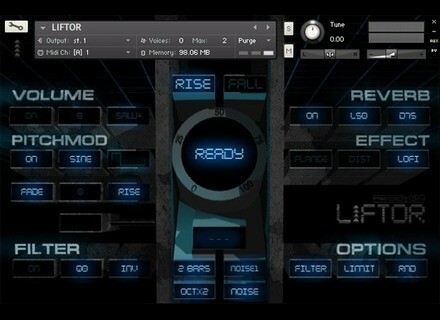 Liftor, Other Virtual Synth from Prodyon. 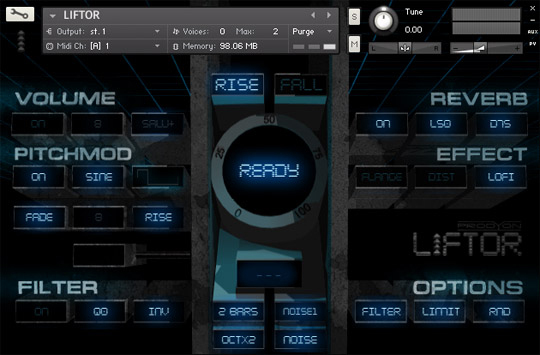 Prodyon released version 1.2 of its Liftor pitch modulation instrument for Kontakt, with a small discount for the occasion. Liftor is currently available for the special price of $29.99. Regular price is $34.99. More info at www.prodyon-virtual-gear.com. Acousticsamples C7 Grand The new Acousticsamples sound library is dedicated to the Yamaha C7 Grand Piano and requires the UVI Workstation 2. Brainworx bx_saturator 2 and bx_refinement Brainworx adds a native version to its bx_saturator 2 and bx_refinement plug-ins, which were already available for Universal Audio devices. The Neve 1073 in UAD Software v7.7 The new UAD Software v7.7 update adds the Neve 1073 EQ and preamp models to UAD-2 and Apollo interfaces.